Galileo's Dream has now been released in the UK and Australia and potentially all territories that have postal service (I guess that would exclude Antarctica this time of the year). You can even read through the first sixty pages (!) over here. First thoughts? In a blast from the recent past, back in January KSR had been invited in Extropia, a technocratic minded community in the virtual world Second Life, to have a chat. Sophrosyne Stenvaag: So what drew you to that person, and that time? Stan Shackleton: Birth of science. Can there be such a thing? Scientific revolution? I made up an alternate scientific revolution in Years of Rice and Salt. Researching that I saw how interesting the real one was, and Galileo was central. 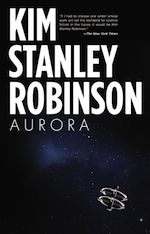 Extropia DaSilva: Stan, as well as your own books, if you had to name one science fiction novel everyone should read before they die, what would it be? Stan Shackleton: Starmaker by Olaf Stapledon. Then a list of about a hundred novels. All very good. It’s so big. Every paragraph is a full novel condensed. IYan Writer: I like the Sax character, too – but is she the Red Mars Sax or the Blue Mars Sax? Stan Shackleton: She is the Blue Mars Sax I think. Lichen are great! Sophrosyne Stenvaag: Stan, do we need that kind of blank slate? Stan Shackleton: No, we need the long revolution. We have to do it here and out of the current conditions. This is what we are transferring now in our ideas of Obama. We are in this situation, can’t get out of it, have to start in it; but want great things. Galena Qi: We’ll drag our “monkey mind” along with us everywhere we go. Societies are mutable but human nature doesn’t change. Stan Shackleton: Yes Galena, but the monkey mind is very utopian! Ideas of justice, adequacy, all there before us in primates. oooooooooop! I’m going to jump now! It's original to see KSR appear in a medium like an online virtual world, a concept that has been so much influenced by a literary movement as contrary to his writings, cyberpunk! But the internet is becoming more and more relevant as a powerful world-wide social tool and offers new and amazing opportunites. I still prefer the hi-res of real life though. The transcript of the entire discussion can be found here. You can find a more readable account of the discussion here and plenty of images of the event here.